The ultimate football anorak (or sheepskin coat), iconic commentator John Motson has now been with the Beeb for 40 years, quite an achievement. 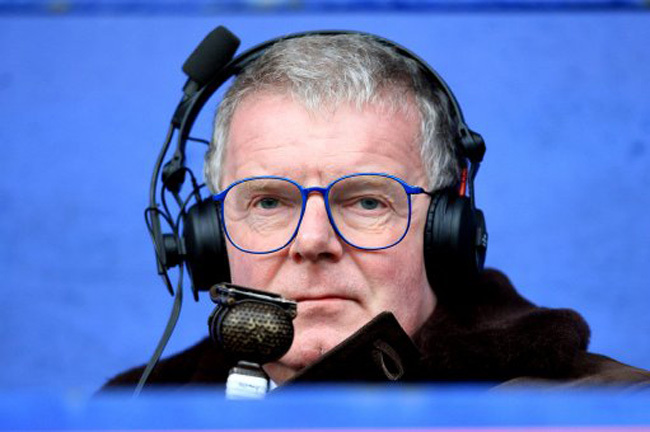 In a world before Sky Sports, self-important celebrity pundits, the overuse of ironic puns and Clive Tyldesley, Motson was football television’s Mr Big, the A-list commentator who shared football’s iconic moments with the nation. His voice will be forever synonymous with the beautiful game. However, in this classic interview, a typically prickly Brian Clough gives a young Motty a hard time. Brian Clough truly one of the games greatest legends.